Adriano Giorgio Farinola and his brothers grew up in his father’s restaurant “Ristorante Moderno” in Brindisi, Italy, during the 1940’s. In 1950, brothers Adriano and Pino teamed up to help their other brother Aldo run their “Ristorante delle Nazione” on the waterfront of the port of Brindisi. 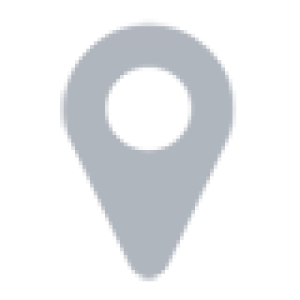 Its location and food quickly made it a popular stop for the tourists, cruise and naval ships, and locals alike. Pino would set sail for America in pursuit of developing the business he and his family knew all so well, a restaurant. 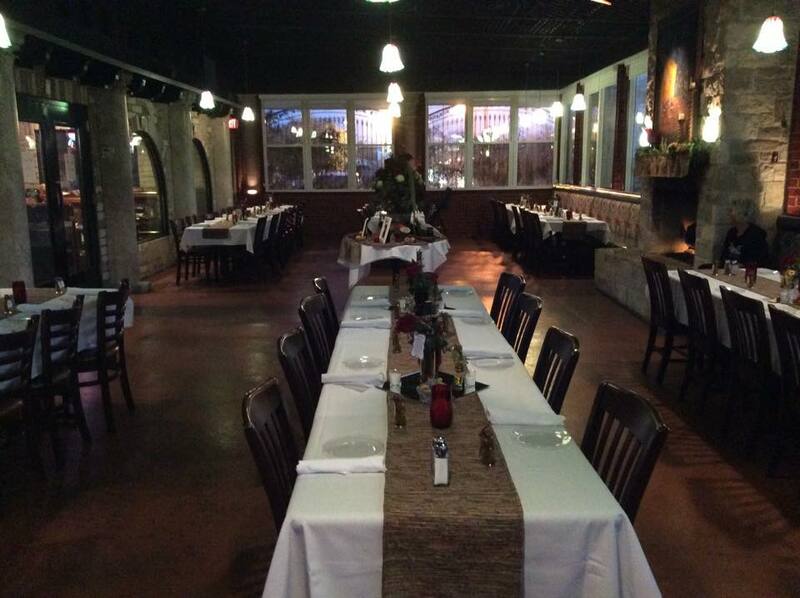 With the strong will to succeed, Pino would open Pino’s Italian Restaurant with his new bride Lenora, only two years after arriving to Houston. Pino’s would open on Cullen Blvd. near Elgin, right across the street from the University of Houston in 1960. 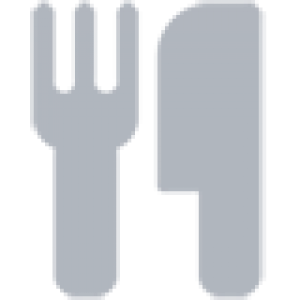 The students from the nearby University of Houston quickly discovered the little restaurant where for about $2.00 they could enjoy an authentic Italian home cooked meal. Adriano would soon arrive and join Pino. 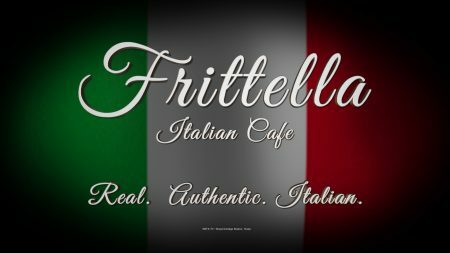 In order to be closer to their children & grandchildren who attend Texas A&M University, Adriano and Vancene chose Bryan/College Station to,open their new restaurant venture, Frittella Italian Cafe in 2003. 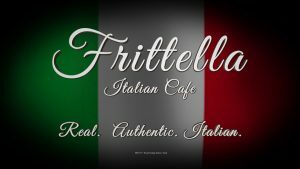 They knew Frittella Italian Cafe would be a perfect addition and concept for this University City! “Frittella” is a true Italian treat that comes from our hometown of Brindisi in Italy. It is the equivalent of a Calzone (a folded over baked pizza) but a “Frittella” is fried in the finest olive oil instead of baking it. Pizzeria Romanelli in Brindisi (www.pizzeriaromanelli.it) has been operating since 1949 serving its famous “Frittella.” This pizzeria has lines that wrap around the block every night of the week. They have been serving these delicious fritellas for over three generations. Carlo, who owns Pizzeria Romanelli in Brindisi, came to Bryan/College Station, bringing with him the most state of the art kitchen equipment specifically designed to produce the pasta for the fritellas and the pizzas. It is really something to see and we proudly have an open kitchen for the public to admire. Carlo continues to return to College Station each year to check in on his friend, Adriano and offer any help needed. Frittella Italian Cafe does not stop at just fritellas, as we boast a beautiful wood burning oven where we also make a lovely thin crust pizza, Roman style. The lasagna, beef cannelloni, eggplant parmesan and our sauces come from our family’s original restaurants recipes in Brindisi, Italy dating back to 1912. These are the dishes that placed Pino’s on the map in Houston and now Frittella Italian Cafe proudly continues in our family tradition in producing the finest dishes from the cleanest kitchen. After Pino’s Italian Restaurant Closed in Houston in 2004, our chef for thirty years moved to College Station to help us continue the family tradition of cooking with the freshest ingredients and providing the highest quality of Italian food.